Different Types of Toothbrushes – Finding The Best Option For You! You know that you need to brush your teeth at least once every morning and once at night before you go to bed. To encourage good dental hygiene and to help you make sure that you’re using a new, effective brush that hasn’t been worn down or matted with use, most dentists give their patients new toothbrushes at every cleaning. However, is the toothbrush your dentist gave you really the best for your dental and oral health needs? How can you tell which brush is right for you? Should you go with a manual brush, a spinbrush, or is it worth it to go with one of the more expensive electric toothbrushes? In this article, we’ll answer all of your questions about the best toothbrush for your teeth as we review each type of toothbrush and go over its pros and cons. Without even considering spinbrushes or electric toothbrushes, manual toothbrushes present you with a lot of choices. You can select a conventional head that’s shaped roughly like a rectangle with rounded corners, or you can choose a diamond head, which is narrower at the top and can help reach into tight spaces around the back teeth. Then you get to the hardness of the bristles. Most dentists recommend using a soft-bristled brush for sensitive teeth and gums. If you don’t suffer from sensitivity, but you have trouble with plaque building up, though, you may want to consider a medium bristle for more effective cleaning. Once you’ve chosen the shape and texture of your toothbrush, you’ll need to decide what kind of bristle pattern you want. The old traditional block pattern has no variation, and while it’s effective at cleaning your front teeth, it can be difficult to reach some of your back teeth and really get them clean. A wavy (or v-shaped) bristle pattern is good for getting a lot of contact between your teeth and the bristles. Multi-level trim patterns are good for getting at hard-to-reach spaces in the back of your mouth and between your teeth. A criss-cross pattern is said to remove plaque better than some other patterns, and a polishing-cup pattern may be able to lift stains and help whiten teeth better. For more information on different types of manual brushes and how to choose between them, check out this helpful article at ToothClub.gov. 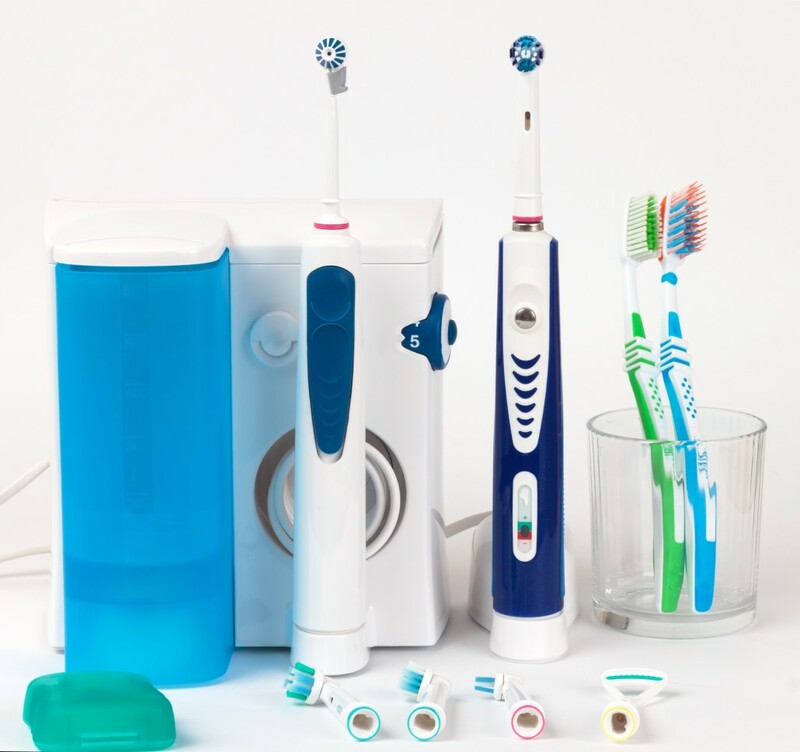 The least expensive style of powered toothbrush, the spinbrush is battery-operated works by spinning, rotating, or oscillating as you brush your teeth. Studies have shown that people who take the time and effort to brush properly with a manual toothbrush can achieve the same overall effectiveness as using a spinbrush. However, spinbrushes can cover the teeth with more strokes and more cleaning power in less time. So, if you’re not the best at making sure that you reach every single tooth and thoroughly brush along your gum line with a manual brush, you might get some benefits from a spinbrush. Selecting a good spinbrush for your dental hygiene needs is a lot like selecting the right manual toothbrush. You’ll want to review the shape of the brush’s head, as well as its bristle pattern. Many spinbrushes have a round, spinning or oscillating portion of bristles and then a static portion. If you brush as you normally would instead of letting the spinning portion of the toothbrush do all the work, you can lift a lot more plaque and even lift some minor stains, as well. When choosing the right spinbrush, you’ll want to look for one that’s shaped such that you can reach all of your teeth. If your toothbrush can’t reach or fit into the back of your mouth to clean your molars, it won’t be helping you out very much at all. If you get one that is the right shape and size, though, you may be able to save time and effort in the mornings and evenings when you brush your teeth. Finally, when it comes to higher-end electric toothbrushes, you’re faced with even more choices. Each one claims to get the best results, but it’s hard to tell from marketing alone which is really the most effective. Some water-assisted toothbrush manufacturers claim that you won’t ever have to floss again because their products floss for you with the power of tiny streams of water spraying between your teeth. Most dentists will likely agree that you should continue flossing, even if your electric toothbrush claims that it does it for you. However, there are two things that more expensive electric toothbrushes have over spinbrushes. They are rechargeable, and they combine spinning and oscillation for optimal cleaning and polishing. First, because they’re rechargeable, you’ll never have to worry about the batteries dying on your electric toothbrush. Furthermore, a lot of these models come with warranties, so you can get them replaced or repaired if something goes wrong with them. Second, while one part of the head of a rotation oscillation toothbrush spins, the rest of the head will oscillate. This dual-action motion reaches more of your teeth in less time, and you get better cleaning results without any real effort on your part. Finally, spinbrushes and electric toothbrushes both have another advantage over manual toothbrushes. They’re both more entertaining to kids than regular toothbrushes. While you might not want to invest in a really expensive electric toothbrush for your little ones (after all, kids can be hard on electronics), you might want to consider getting them spinbrushes. 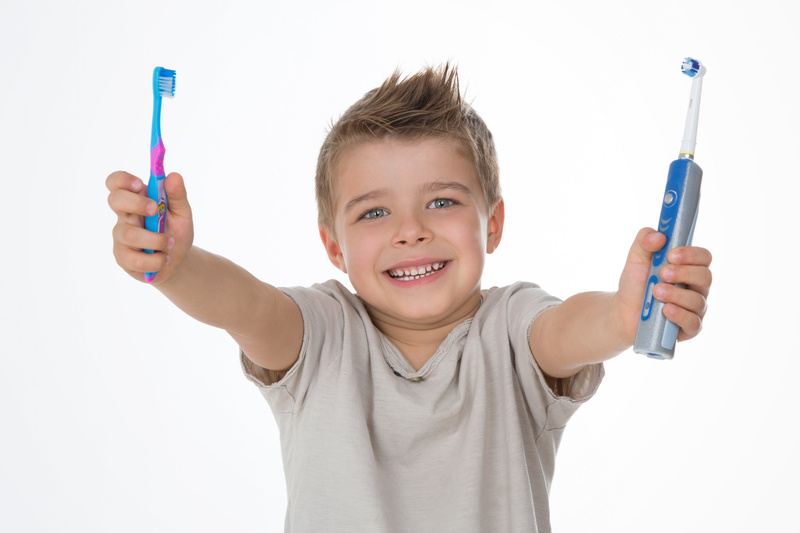 You might be surprised at how much more fun kids find brushing their teeth when their toothbrushes buzz and spin. This can lead to good dental hygiene habits for the rest of their lives. If you’re still not sure which type of toothbrush you should get for yourself and/or your kids, talk to your dentist and get their recommendations. A good dentist, like the ones at Dental Health Group will discuss the advantages and disadvantages of each kind in the context of your specific dental needs. Then you can make an informed decision and get the best toothbrush for your teeth.